You’ve built your dream home and now it’s time to decorate. Interior design professionals will give you all sorts of advice and ‘rules to follow. However, there really are no ‘rules.’ If you want a velvet Elvis painting over the fireplace mantle, then I say ‘GO FOR IT!’ Your home decor should make you happy. 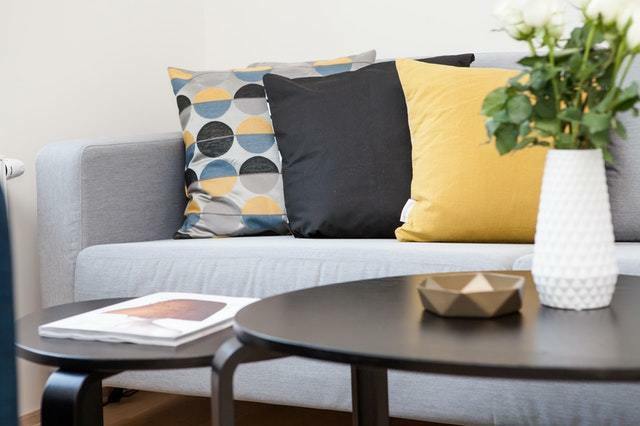 You may want to review which upgrades increase the resale value of your home if you plan to invest much money in your decor, but most “style” choices are subjective. However, if you aren’t sure what your “style” is or you just want a new look, consider these tips from decorators. The first step in interior design is to pick a style. This should be pretty easy. Which modular homes floor plan did you start with? Was it a Cape Cod, a Victorian, or something more contemporary? More than likely you chose a style of home that will match your tastes in decor. For instance, if you built a Victorian-style home, I doubt you will feel comfortable filling it with modern art and chrome furniture. One of the most popular interior decorating styles for modular homes is ‘Traditional.’ It works well with all kinds of architecture and floor plans. Traditional decorating is calm, orderly, and predictable. In other words, it screams COMFORT! The greatest thing about traditional homes is that they work well with all types of decor as long as you tie it together. This means you don’t HAVE to go out and buy all new furniture. Instead, it will look right and proper for there to be a mix of colors and styles. A traditional room usually features upholstered furniture with soft edges and lots of pillows. For an extra homey touch, drape the afghan your grandmother crocheted over the back of your favorite armchair. Buy a few throw pillows in similar colors and put them on the couch. That way if the armchair and couch don’t match, you can tie them together with the accessories. Pair furniture and center it in the room. Separate two armchairs with a small side table and angle them toward the television or the fireplace. Make the seating arrangements so that people face one another or the focal point of the room. The sofa will directly face or sit perpendicular to the fireplace and a bed will back up to the center of the longest bedroom wall. Fabrics in a traditional room are generally florals, plain colors, muted plaids, or have small all-over patterns. Color in a traditional room is often in the mid-ranges of tone. Use the lightest color on the walls and darker colors for upholstery and flooring. One of the more personal choices you will make when decorating your modular home is your colors. Should you paint the trim white or go with natural wood colors? Did you install hardwoods or carpet? What color should you paint the walls? Many of these interior design choices were made when you customized your modular home floor plan. It is not necessary to have the same color in every room but the colors in the home should follow a theme. In particular, you should keep the same color trim throughout the house, including a finished basement. “One of the biggest trends in modern design is the open floor plan. However, it’s interesting to note that the floor plans on our site that get the most “likes” are the ones that have been professionally decorated, regardless of layout. The truth is that any modular home will look great if you take the time to decorate it well. The most important thing is to select a floor plan that meets the needs of your family. People ask me what I would recommend in the way of upgrades on a modular home. Personal preference should always come first. However, I usually suggest adding taller interior ceilings because it makes your home feel bigger. That feeling of extra space makes it easier to resell later. 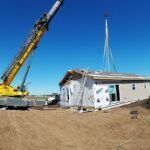 Modular homes are fully customizable and modular homes prices are less than comparable homes build with traditional methods. 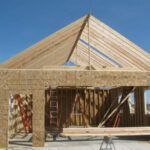 If you live within 70 miles of Goshen, Indiana, Next Modular can build and assemble a customized modular home on your building site. Select one of their hundreds of modular home floor plans and call Next Modular to find out how you customize it into your very own dream home.